Dogs have long been an important part of our society. They provide important benefits to people and families that cannot be measured in monetary terms. Research shows that dogs are more than just companions; they also promote the physical and emotional health of their owners. The importance of dogs in society has even helped spawn a new field of study, urban animal management, which aims to ensure that animals are taken care of in the urban environment. One of the ways to ensure that dogs are cared for in the urban environment is through the provision of off-leash recreational areas. These areas provide benefits to both people and dogs. Greater Victoria has a wealth of recreational areas, beaches, and open spaces enjoyed by residents and visitors alike. With temperate weather year-round, families and individuals enjoy hiking in nature, exploring beaches, running, cycling, playing sports like soccer, baseball, tennis, golf, as well as playing and walking with their dogs. While some municipalities allow wide access by off-leash dogs to parks and greenspace, others do not. Saanich offers the most liberal off-leash access by allowing dogs that are under control of a competent person to be off leash in most green spaces. In Oak Bay and Esquimalt there are a number of designated off-leash areas for dogs. Victoria has twelve parks where dogs may be off-leash at certain times of the day. Citizen Canine believes that it is the right of taxpaying, responsible, dog owning residents to have fair and reasonable access to parks to exercise their dogs off-leash. Approximately one third of households have a dog, yet there are relatively few areas where people can have their dogs off-leash. At the same time, many small parks and playing fields stand empty for much of the year. However, we are pleased that more and more municipalities are coming to recognize the legitimacy of dog owners’ requests for off-leash access. We believe that there needs to be more provision in our urban environment of places where people can play with their dogs off-leash. Off-leash areas provide space where people can train their dogs as well as socialize them with other dogs. Responsible dog owners know that dogs in urban environments must have daily off-leash exercise and opportunities to interact with other dogs and with new people. Dogs that experience this are healthier and show less aggressive and anti-social behavior towards humans and other dogs. Off-leash areas are important not only to dog owners, but also to the community at large. Shared parks provide places where neighbours can meet and interact and develop a sense of community. Many people who are not able to keep a pet enjoy the opportunity to see dogs at play. Also, off-leash areas offer adults the opportunity to teach children how to safely interact with dogs. As well, there are obvious health and physical benefits for the dog owners who are being active in an outdoor environment. The benefits are clearly not lost on the general public, with an 2001 Ipsos poll revealing the majority (75%) of BC residents supportive of off-leash parks. It’s important for off-leash access to be available in a network of parks throughout the city to accommodate the needs of people-including the elderly and the disabled-who depend on the companionship of dogs but cannot easily travel long distances. There are a great many people with dogs who would feel safe and comfortable spending time with other dog owners in parks in their own neighbourhoods. There’s another community benefit for opening up more parks to off-leash access, and that is increased use of parks. Very often the parks that are left vacant for most of the time become targets for vandals or other illicit activities. Dog owners are reliable users of public green space. They are there with their dogs every day, rain or shine, winter or summer. The presence of a responsible contingent of dog owners offers support and monitoring for parks in the region. 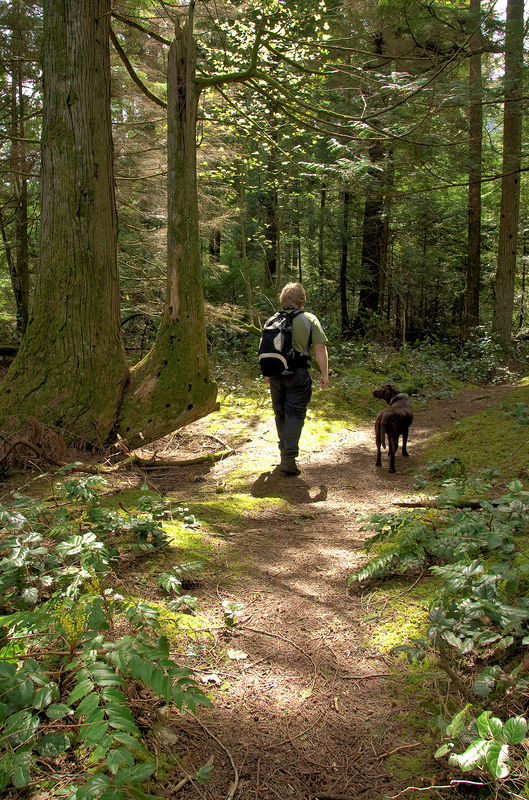 Ayum Creek Regional Park Reserve in Sooke is the only regional park area where dogs are prohibited year-round. Beaches and picnic areas in most CRD parks have seasonal restrictions on off-leash dogs. There are many parks in Oak Bay; some with no restrictions and some “No Dogs Allowed”. Windsor Park (between sunrise and 9 o’clock a.m. on any day from July 1 to August 31; and between sunrise and 11 o’clock a.m. on any day from September 1 to June 30. Dogs must be leashed when the park has been reserved for, and is being used by, an individual, group or organization as evidenced by a permit issued under the authority of the Oak Bay Parks and Recreation Commission. (7) on Willows Beach at any time between May 1 and September 30 in any year. Please remember: dogs are not allowed in Ross Bay Cemetery, Pioneer Square Park, and the “no dogs” area in Beacon Hill Park, near Douglas Street, south of Good Acre Lake. For more information about Victoria city bylaws and other information relevant to dog owners, check out this document. Make sure your dog is wearing a current licence tag on their collar. Pick up after your dog and dispose of waste in a garbage can. Keep your dog outside of playground boundaries. Do not allow your dog to dig holes in a park. Do not let your dog jump up on people. Ensure you have control of your dog at all times, whether on or off-leash.